If you are thinking about buying, selling, or refinancing your home, you are likely very interested in what it is worth and how others will value it. One type of property valuation is the automated value model. This model is a computer program that performs data analysis via a database that uses statistics compiled with a series of data sets. When you enter into a residential real estate transaction, you should go in with your eyes open. It is important to understand the value of the property that is the subject of the transaction. At Pulgini & Norton, our experienced Boston real estate attorneys can help you figure out the value of your home using an appropriate valuation. 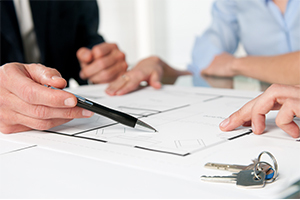 We represent lenders as well as buyers and sellers, and we have a thorough understanding of the entire industry. Estimating property values accurately is necessary for many purposes, including listing your house for sale, determining whether a home is a good investment, obtaining financing, obtaining property insurance, and determining how you will be taxed. Simply figuring out what to ask for your home or what to offer for a home that you want to buy may be a complicated task. The automated value model is supposed to make it easier. The value of the home is based on the value of future benefits that will arise from owning the property. In many cases, people buy homes that are intended to last a long time, and the value of their home needs to consider all of the aspects of value, including environmental, economic, political, and social trends. For example, certain types of homes have been highly valued at different points in time, but they may fall or increase in value, depending on changes in aesthetic tastes and social forces. The automated value model uses an engine that works off linear and multiple regression. With linear regression, one variable is adjusted, while with multiple regression, several variables are used at the same time. Once all of the data about comparable homes is analyzed, a report is produced, and both a value range and a proposed value will be given for the property. Sometimes these reports also look at user input related to property renovations or historical house price movements. The report will usually provide a comparable sales analysis, an indication of value, the market value for other properties around the country, and any recent sales history. An appraiser may review this report. However, banks and lenders often choose to rely exclusively on the automated value model report, thereby eliminating the touch of a human appraiser. Human appraisers may place greater emphasis on such factors as views, renovations, the size of the home, its actual condition, and where it is located. The automated value report will not be perfectly up to date on the trends, and it may not include human factors that may make a huge difference, such as views. Given these disadvantages, some sellers or buyers may choose to retain a human appraiser to make sure that an appropriate value is placed on the home. If you understand the value of a home, you will be better prepared to make an offer or list it. At Pulgini & Norton, our Boston lawyers can advise homeowners on obtaining an appraisal using the automated value model or another appraisal technique. We also handle real estate matters in Cambridge, Quincy, and Newton, among other Massachusetts communities. For a consultation with a property transaction attorney, contact us online or call us at 781-843-2200.